Grab your hoes, farming update inbound! 6/19 @ 3:50PM EST - Wipe announcement: Due to entity counts, we will be wiping our low pop and hapis servers at 5:00pm EST today. I know, I know, I should have just done it yesterday with the update. We hadn't hit the collider limit and I thought we could make it another week. After further inspection today, it appears both servers will hit that limit sometime before the update next week. On top of that, a forced map wipe will be coming the following week. Given this, I figure it'll be best to rip the band-aid off now and have the smoothest gameplay we can till the next forced wipe (scheduled in 2 weeks). 6/19 @ 1:20pm EST - Not much going on in Rust development today. Have a good weekend! 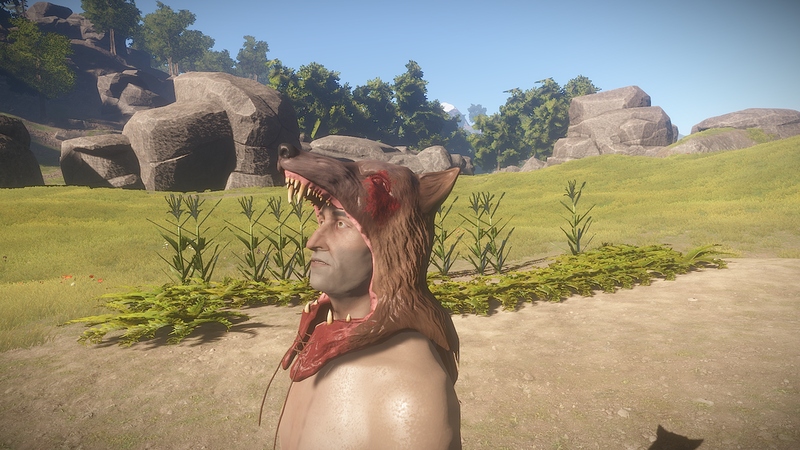 2:25pm EST - Just added some details and pictures of the wolf headdress below. 2:00pm EST - Just added a quick overview video of farming below. 1:30pm EST - The builds on Jenkins have been failing for the past couple hours. 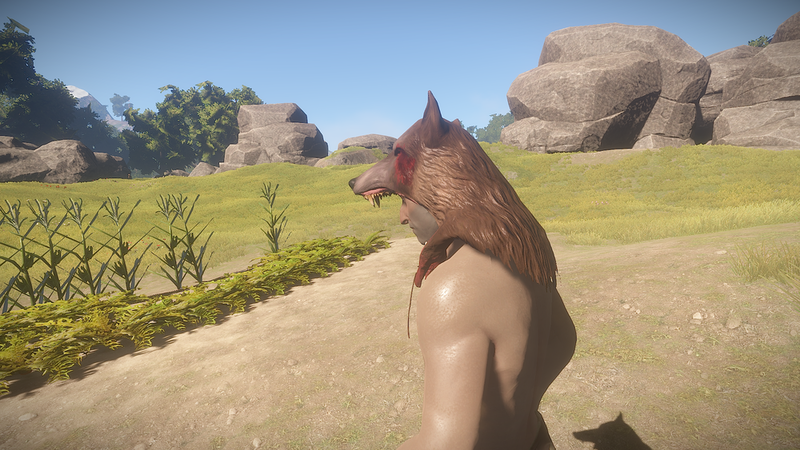 Hopefully they'll pass soon so we can get a look at this wolf headdress and bota bag! 11:20am EST - Hold onto your wolf headdresses, we've got an update incoming! Given the team was short two people this week, this isn't the largest update in Rust history. Nevertheless, there’s some gameplay goodies in store. As usual, expect the update to launch anytime between 4 and 6 PM EST (8-10pm GMT). A map wipe will not be forced, however, some servers may wipe at the owner's discretion (Rustafied server wipe info at the bottom of this post). The newest rage and Rust headgear, after not making it in last week, appears to be squeaking in this update. 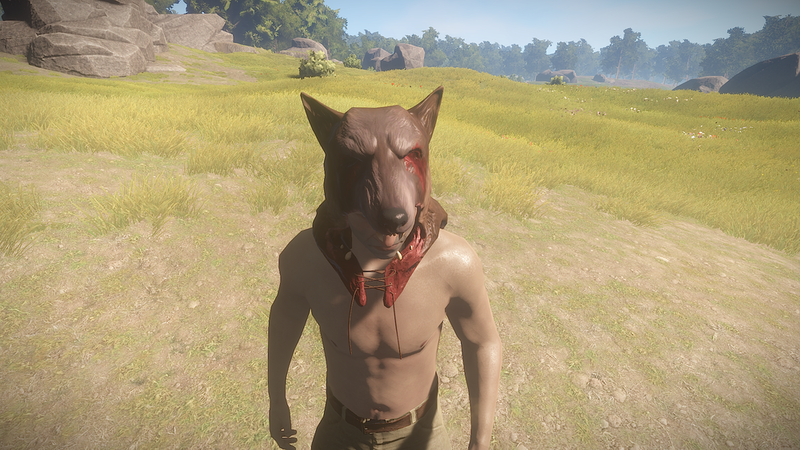 The wolf headdress was committed to main a couple hours ago, however, as I write this, it is still not on the development branch. More information and pictures on this as it becomes available. After not seeing or hearing anything about this item in months, the bota bag was just implemented a little while ago. 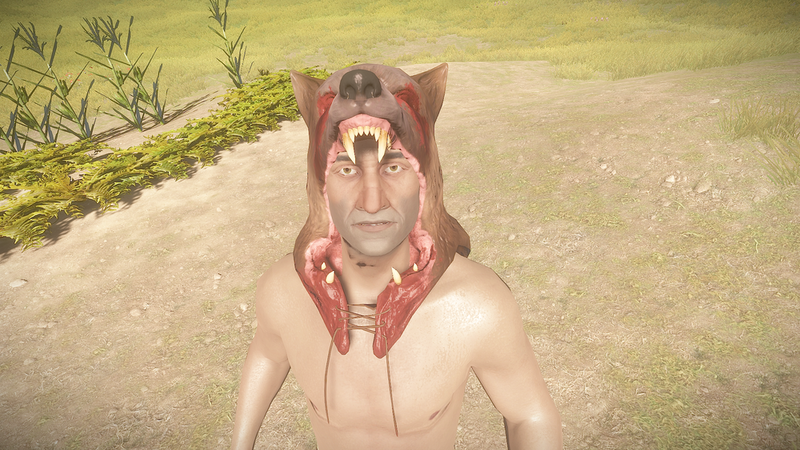 Like the wolf headdress, it has not fully hit the dev branch yet. More info on this as we get closer to the update. This one is up in the air at the moment. Although the models and animations appear to be mostly complete, the highly anticipated new pistol has not been formally implemented yet. My fingers are still crossed it’ll make it in at the last minute, however, I wouldn’t be shocked if we have to wait till next week at this point. Alex has done a bunch of great work on the sounds this week. Specifically, the quarry is now much less abrasive, metal doors have a different sound than wood, and chickens don’t sound so goddamned disgruntled. No blueprint wipes are planned for the foreseeable future. Starting at 3pm EST (7pm GMT), we’ll be going live from our dev branch server to show off and answer questions about what’s new this week. Once the update hits, the stream team and I will start on the freshly wiped dev branch server, building a base and farming the land. Follow Rustafied on twitch to know exactly when we go live. Want to support Rustafied? Become a patron.